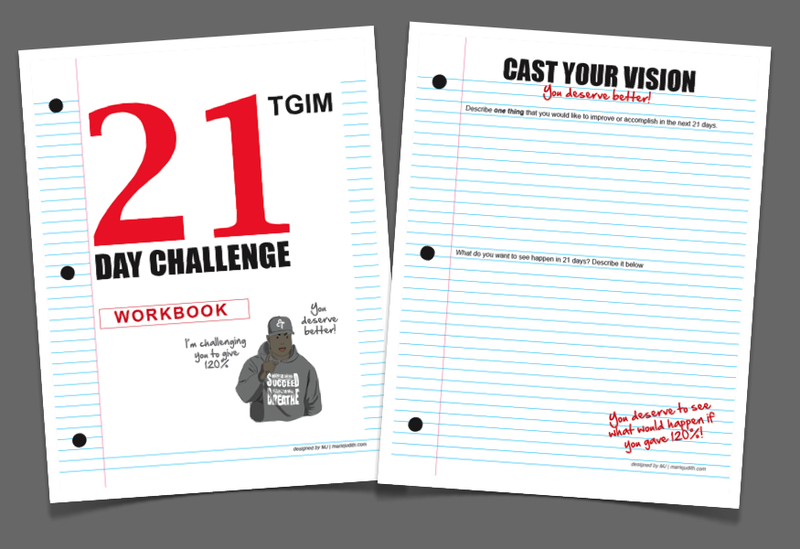 This week's TGIM is a call for action. ET challenges us to challenge ourselves in achieving a goal in 21 days. Since the purpose of this video is to get people get results, I decided to change things up a little and create a workbook to track my progress. The workbook is a simple 25 page printable pdf file that includes space to write your goals and list the tasks you need to do each day to achieve them. 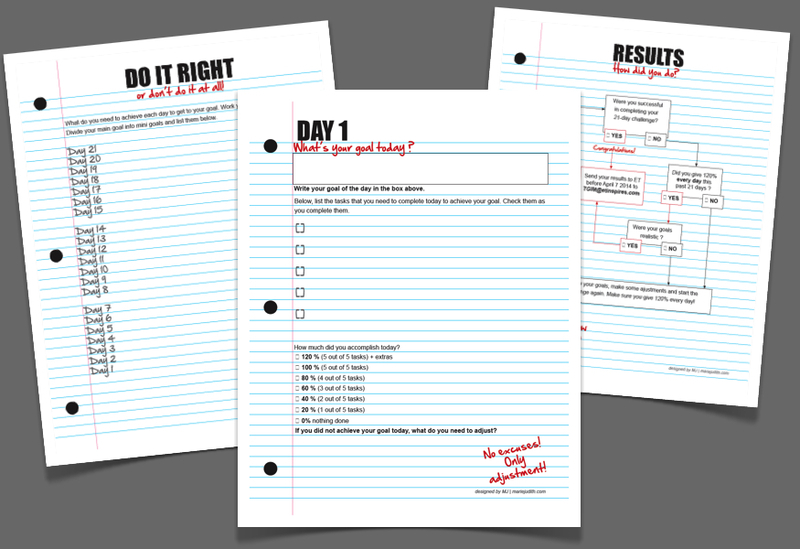 I also added a page to break down your main goal in 21 manageable mini goals, and a result assessment page at the end. I intend to use it myself for one of my goals and see how far I can take it. I figured I would share it in case it can help other people who will also take on this challenge. To download your copy of the workbook file click here. Thanks bro this is exactly what i needed. God Bless.